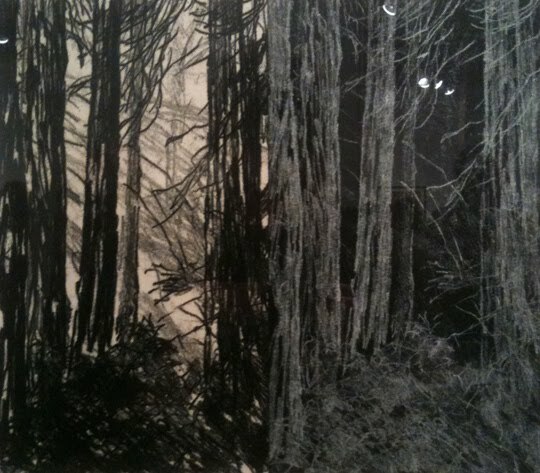 The California Society of Printmakers opened the Light/Dark show juried by Enrique Chagoya last night to a packed house. It was the first time I remember being claustrophobic in a crowd since being manually pressed into a Japanese train ten years ago, but the show was well displayed (especially for a group show of this size) and the Light/Dark theme was perfect for printmakers. I would recommend going on a quiet afternoon on the heels of a walk through the rose garden. Some highlights from the show below are Jenny Robinson‘s Billboards and Debra Jewell‘s Soberanes. 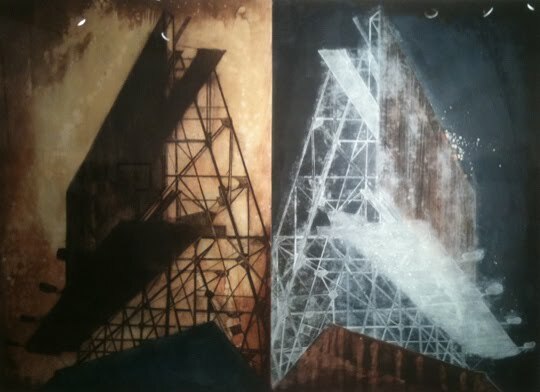 This entry was posted in Events, From the World, Galleries, Kala Art Institute, Openings on April 3, 2011 by ellenheck.